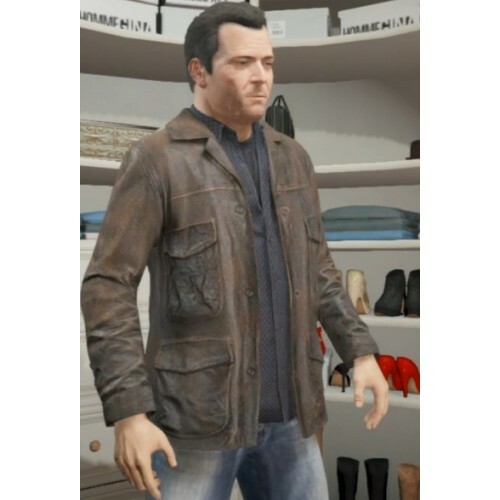 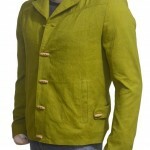 This Distressed Brown Leather Jacket was worn by Michael in GTA 5 video Games. 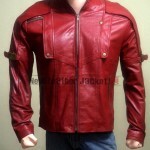 The GTA 5 Michael jacket is made up of the high quality leather. 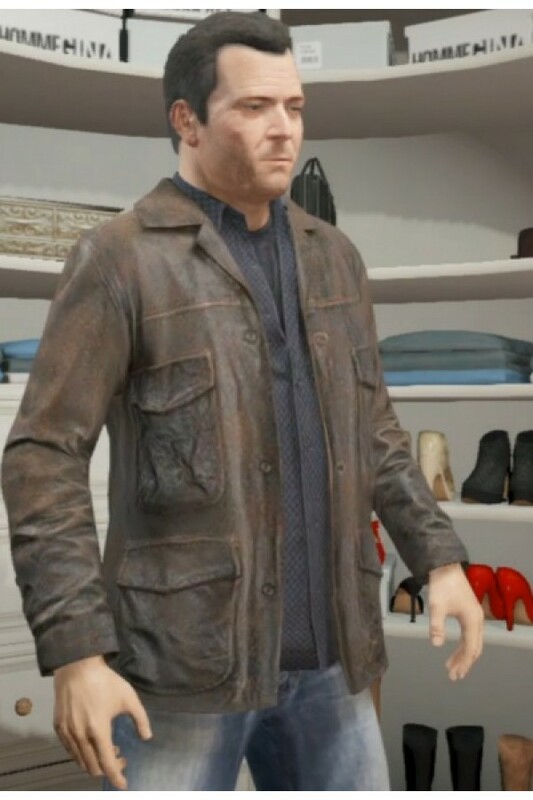 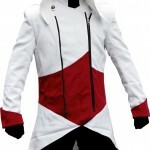 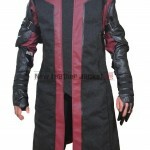 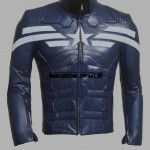 The exterior design of GTA 5 Leather Jacket includes a lapel style collar with front button closing which made this outfit an elegant fashion piece to wear.